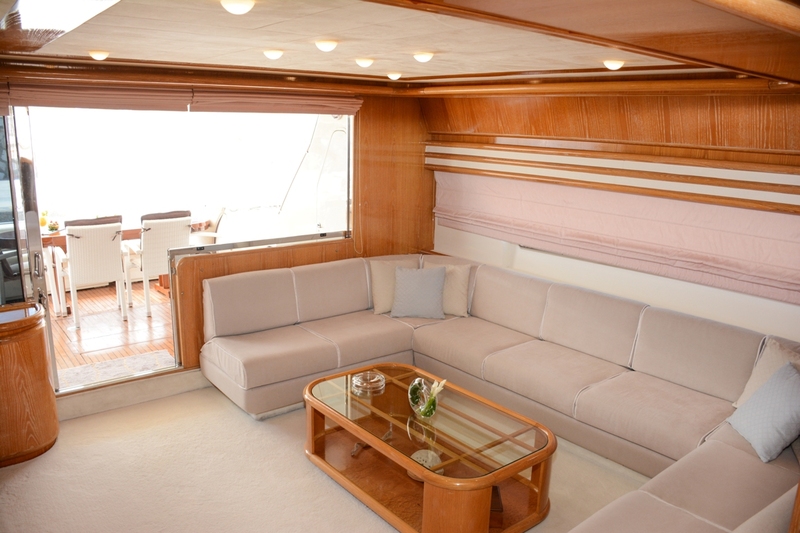 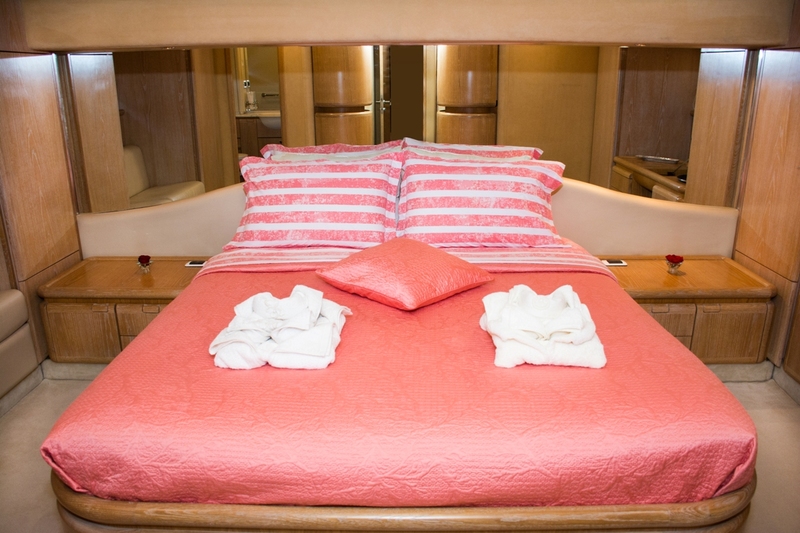 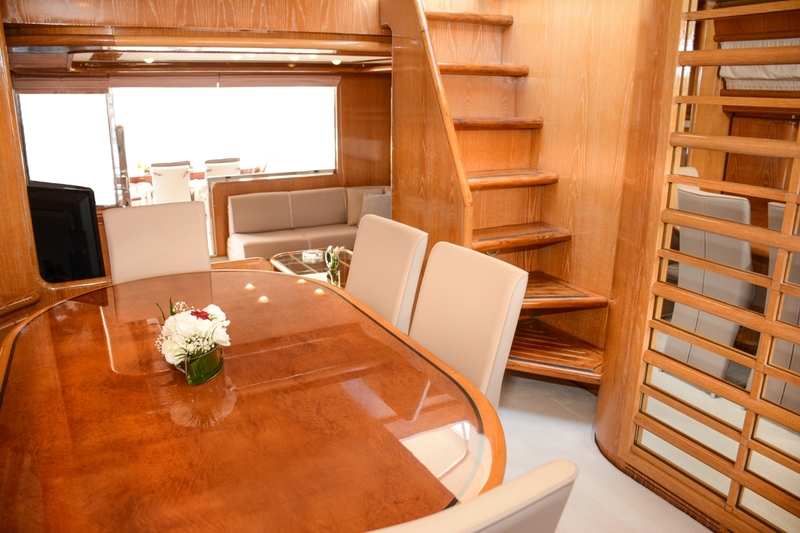 Motor yacht AVRA is a 23.00m (75' 6") luxury yacht offering crewed charter vacations. 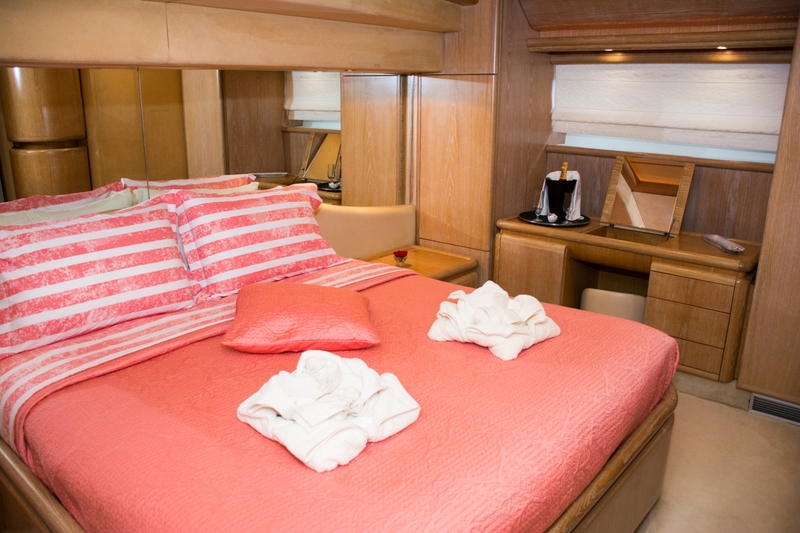 She was built by Ferretti in 1999 and completely refitted in 2017. 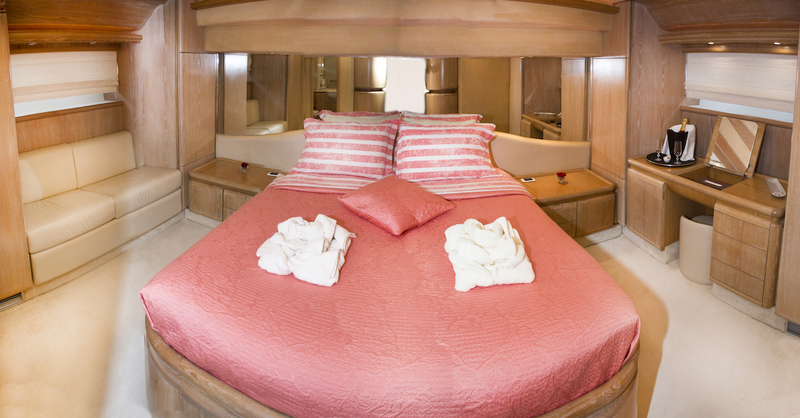 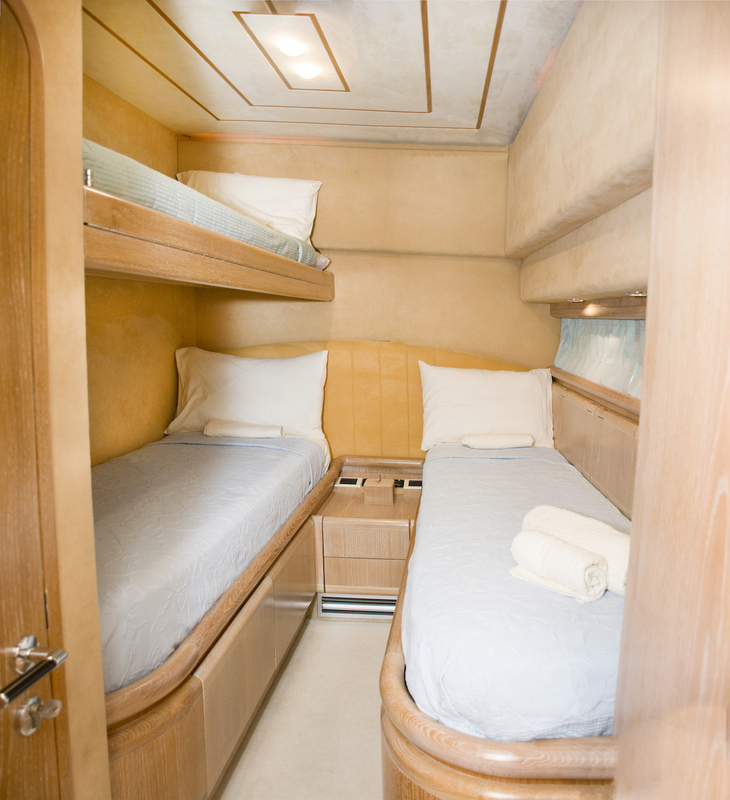 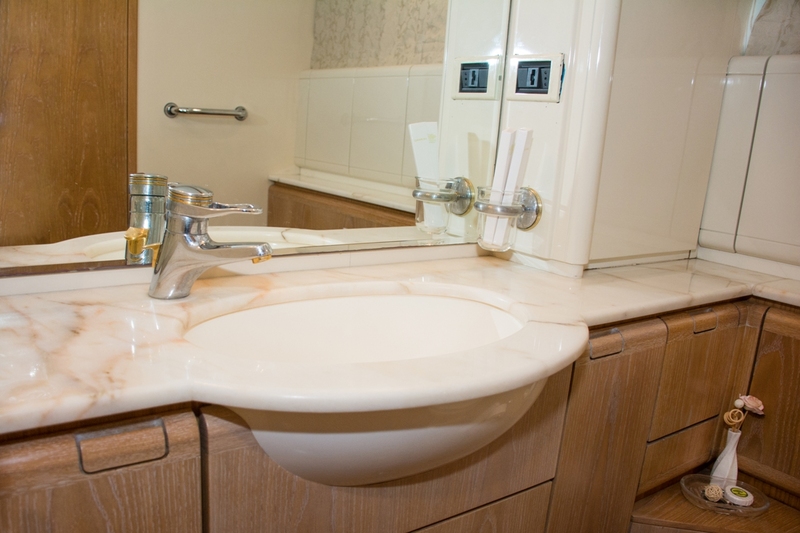 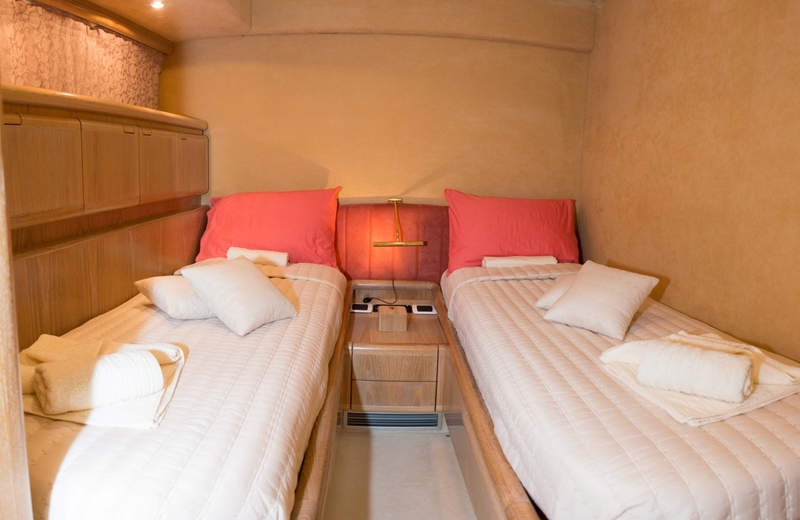 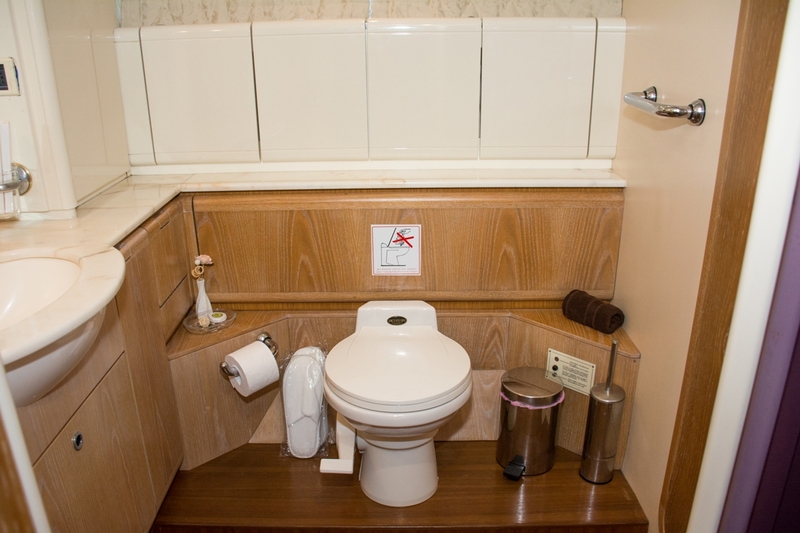 Accommodation comprises four cabins for up to nine guests. 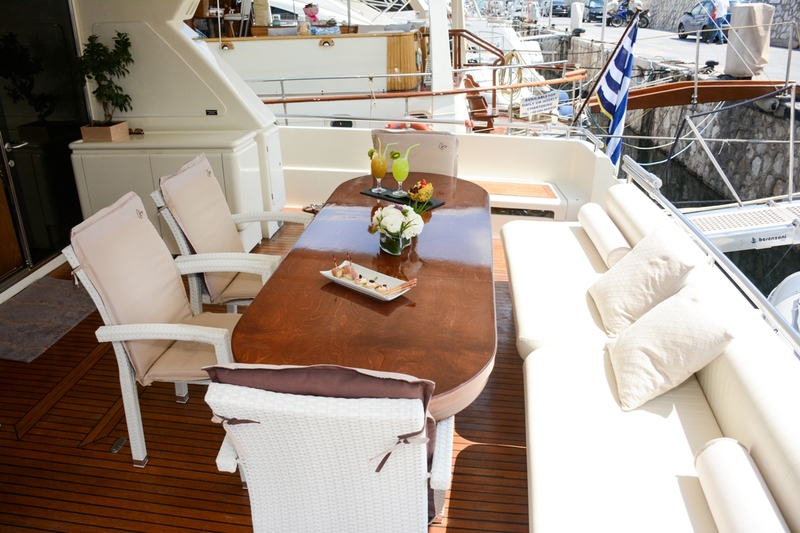 Exterior areas of the yacht include a seating area for up to ten guests on the main deck, great for socialising or alfresco dining. 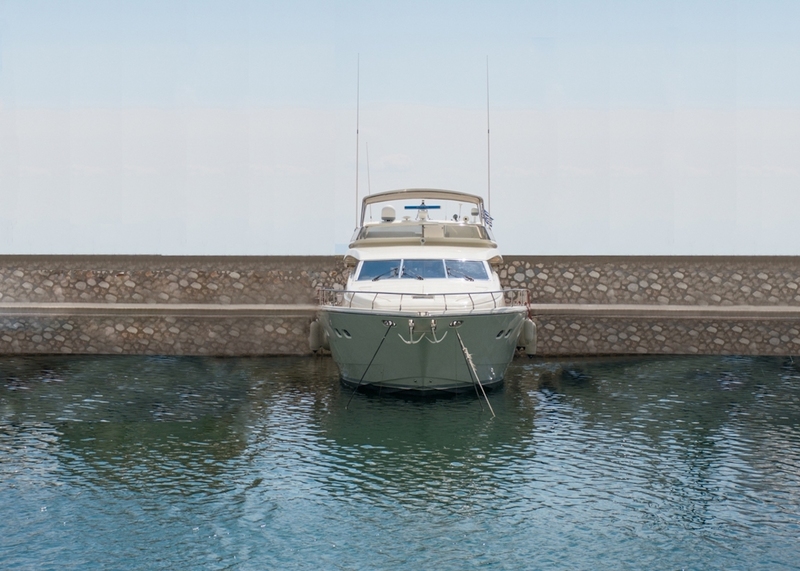 Aft there is a large swim platform with a ladder allowing access to the sea. 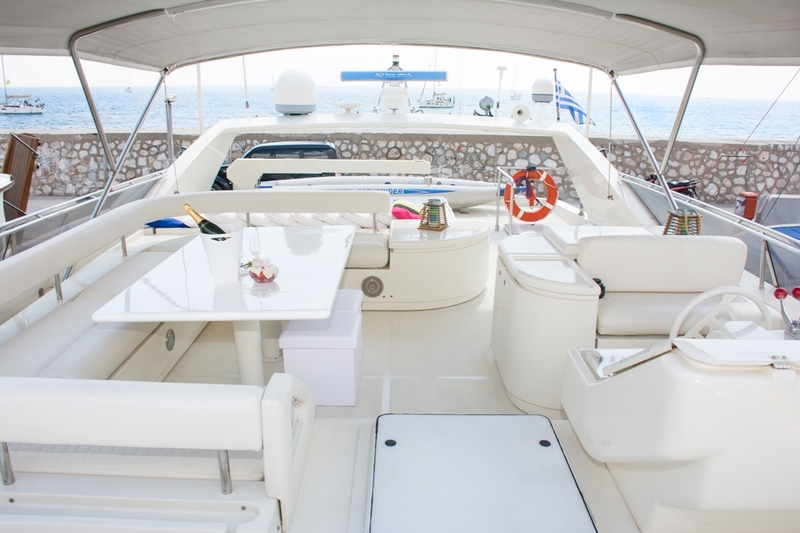 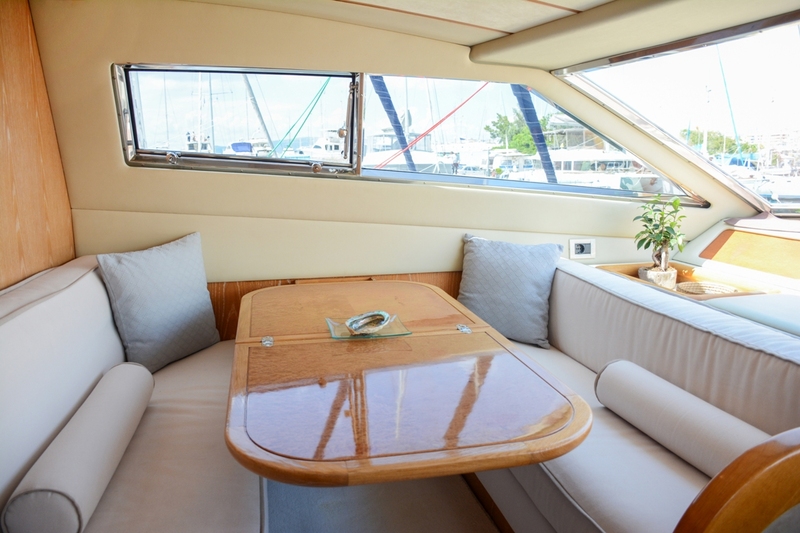 The flybridge offers yet another alfresco dining area for up to ten people which are also equipped with a refrigerator, a barbecue and a sunbed. 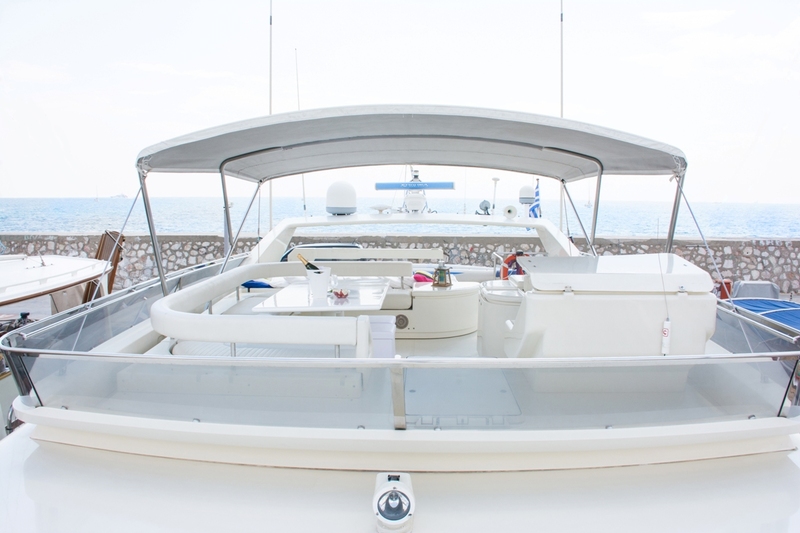 The bow boasts an oversized sun pad. 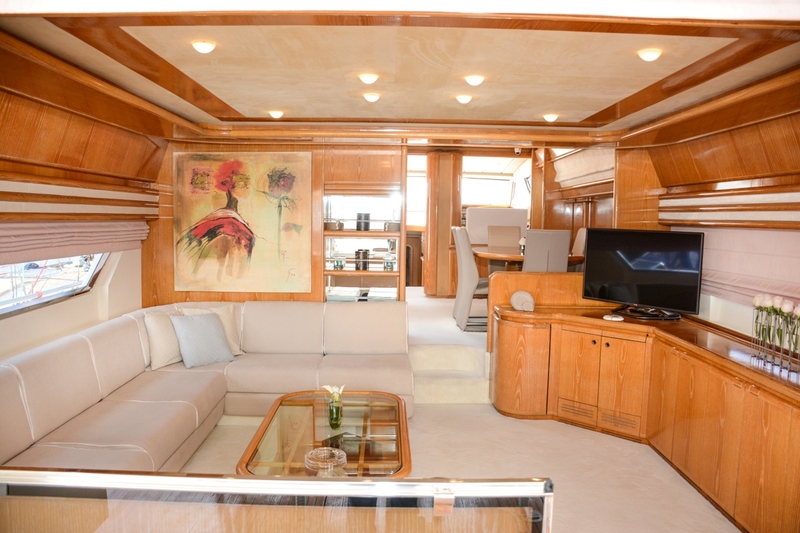 On the interior, the inviting saloon offers a sofa as well a large TV, while the adjacent dining area seats up to eight guests. 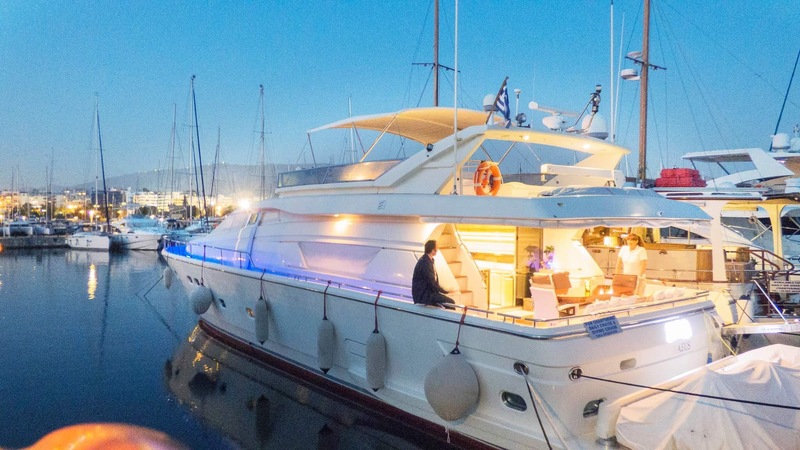 AVRA is fitted with two 1250hp engines powering her up to a maximum speed of 28 knots while allowing her to cruise at 22 knots. 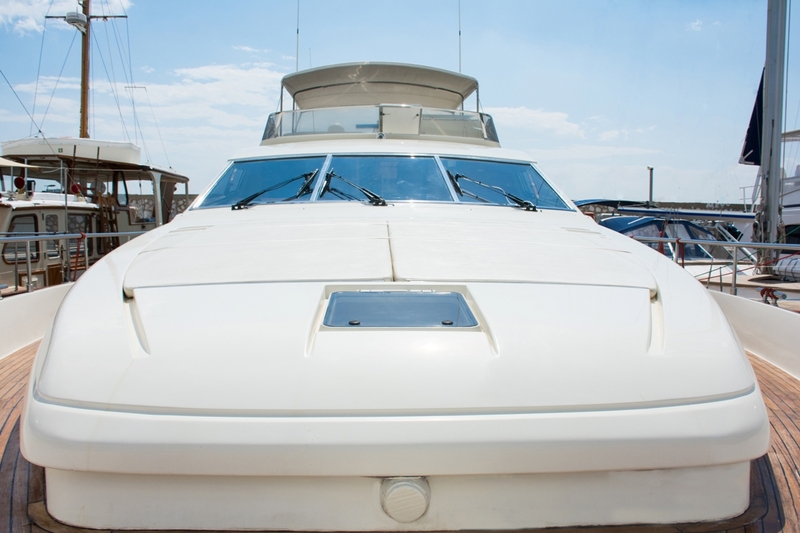 She has a fuel consumption of 320 + 120 litres per hour. 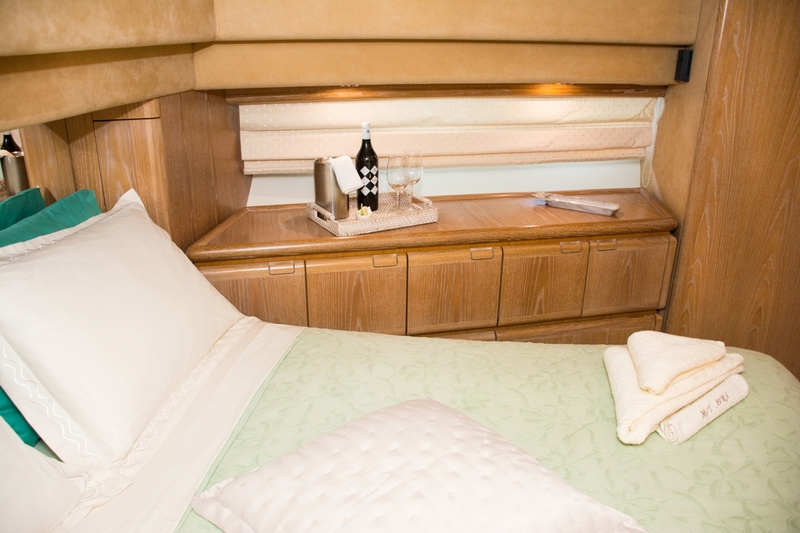 Accommodation spreads over four staterooms, including one spacious master suite, one VIP stateroom and two convertible cabins from doubles to twins, one of which has an additional Pullman berth.